The Russian Embassy in Damascus was shelled for 2 hours on Wednesday, the Russian Foreign Ministry said. Stating that no one was injured in the shelling, the ministry said the embassy’s territory was covered in bomb splinters. The ministry has strongly condemned the attack – the second one on the embassy this month. “On October 12, starting from 11:30am, the neighborhood in Damascus where the Russian Embassy is located was subjected to mortar fire for nearly two hours from the Jobar district controlled by extremists,” an official statement from the Foreign Ministry says. 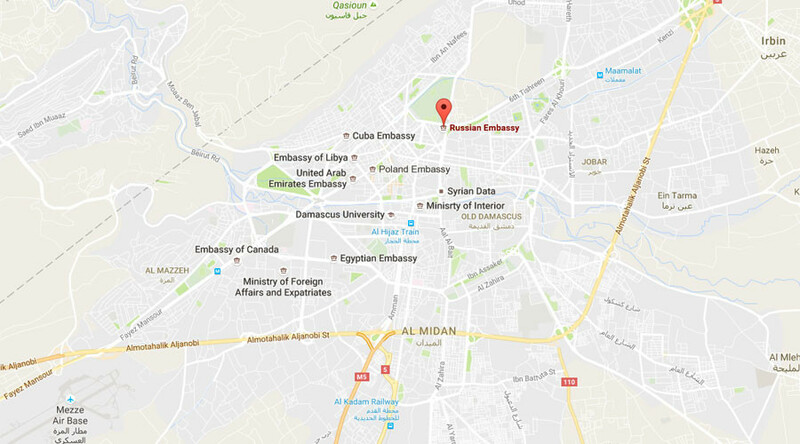 One of the shells exploded in the immediate vicinity of the security post of the diplomatic mission, and another not far from the entrance to the Consular Section. Two mortar shells detonated a few hundred meters from the fence of the Embassy, the statement detailed. One mortar also fell on the roof of a school located near the embassy, but did not explode. "We strongly condemn yet another terrorist attack on the Russian diplomatic mission,” the ministry stated, adding that they await a proper reaction from world powers. “We confirm that Russia’s consistent policy of uncompromising fighting against terrorists in Syria will be continued,” the ministry said. In the previous attack last week, the Russian Embassy located in the central area al-Mazra was shelled by militants, with one of the mortar shells hitting a residential area. Nobody was injured. 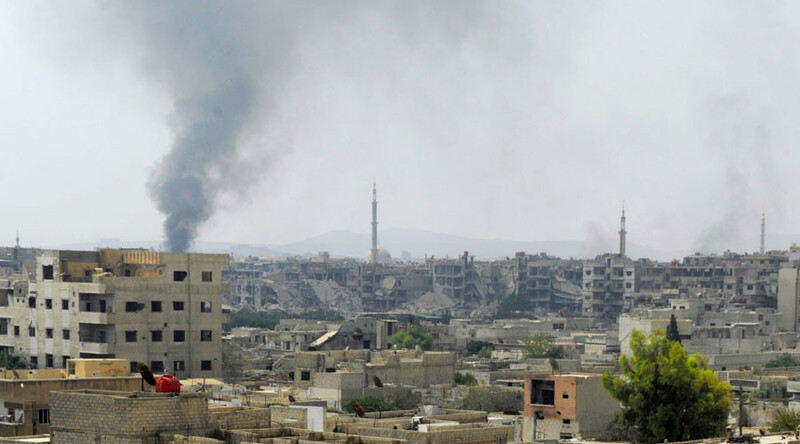 The ministry said both attacks were launched from the Jobar neighborhood, which is currently controlled by the terrorist groups Jabhat Fateh al-Sham [former Al-Nusra Front] and Failak ar-Rahman.